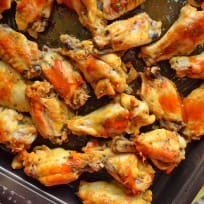 Slow cooker buffalo chicken wings mean you can set it and forget it, and be ready for the game without a lot of fuss! Don’t forget the celery and dressings. 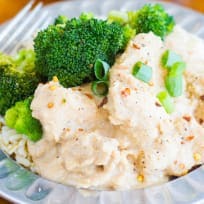 Slow cooker thai peanut chicken is an easy, flavorful dish for any night! Serve it with rice and broccoli for a complete meal. 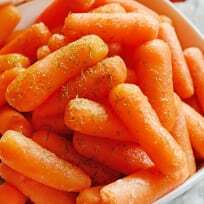 Slow cooker honey glazed carrots take less than 5 minutes to prepare, and just three hours of no-fuss cooking. This is a healthier side to feed a whole crowd! 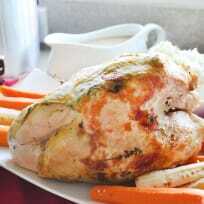 Slow cooker turkey breast makes it easy to have a Thanksgiving feast. It’s perfect for smaller families! Slow cooker spiced apple cider with orange fills your home with delicious holiday aroma! It’s great to serve a crowd at your next Thanksgiving or Christmas party. Slow cooker chicken and potatoes with a delectable pan gravy can be ready with just a few minutes of prep. Set it and forget it, yo! Don’t skip the carrots and Brussels sprouts either. Slow cooker stuffed peppers with beef are a set-it-and-forget-it meal your entire crowd will love. Slow cooker corn on the cob makes the classic summer side a hands-off affair. You won’t believe how easy it is! Gluten free pulled pork with green chile slaw is a flavor bomb in your mouth! Use it for tacos, sandwiches, salads… anything! These Slow Cooker Ranchero Beans taste just like Chuy’s Tex-Mex ranchero beans! They’ll be your go-to side dish for any Mexican dinner! Slow cooker Italian chicken with zucchini noodles will make your taste buds stand up and cheer! This easy supper will make it onto your table a few times a month, guaranteed.